“Measure twice, cut once,” is a favorite proverb. Obviously it is a great rule for a carpenter. Cut the wood improperly and the piece is ruined. It’s faster to double-check than to make a mistake. This also holds true in many other areas, like valves and actuators for instance. 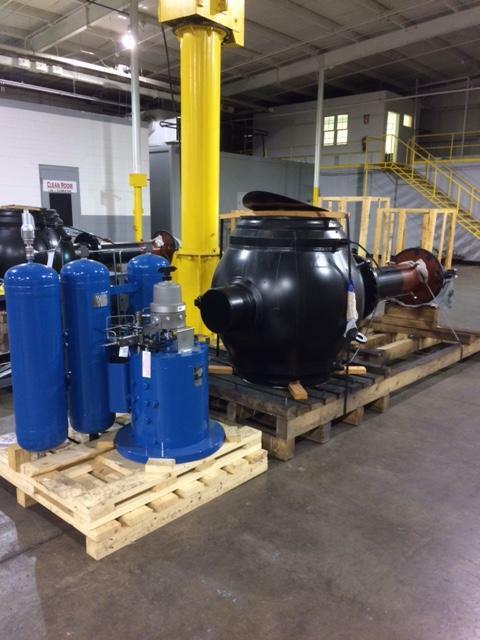 Recently a company ordered (5) 30″, (1) 36″, and (1) 24″ ball valves along with (7) actuators for a project. The vendors from which they bought this equipment were unable to assemble and test the valves and actuators as a package. Based on issues the company had encountered in the past, they wanted to have the assemblies constructed and tested before they were delivered to the job site. To do this assembling and testing, they turned to VRC Protx and their Monroe, MI location. By having VRC Protx assemble, test and confirm the fit and operation of the valves and actuators, before the construction phase of the project, the company could avoid any delays and additional costs inherent in poor assembly. VRC Protx provided the company with detailed documentation and test videos. Due to the vast knowledge and capabilities of the VRC Protx team, they were able to complete the assemblies on time and the customer had them on site in a matter of days, confident that they would not have issues like they had encountered in the past; measuring twice and cutting once.